The Magura 1893 Limited Edition Brake Set offers incredible 4-piston stopping power with a ton of adjustment. The 4-piston forged monobloc caliper gives you the fine control and maximum stability you need on tough Enduro and downhill runs. The HC3 lever blade allows you to easily adjust the lever reach of the brake and the Flip-flop lever allows you to run either brake on the left or right side of the handlebar. The MT1893 comes exquisitely packaged in a wooden crate, with polished calipers and they are engraved with the founding year 1893 logo and serial number. Best brakes I ever had . 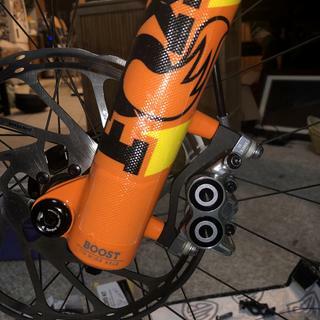 Great modulation great stopping power. Great design and control and ergonomics. Does this set come "bolt on ready"??? BEST ANSWER: If you mean, pre-bled... yes. You will likely need to cut your brake lines to proper length which can sometimes mean rebleeding the brakes. 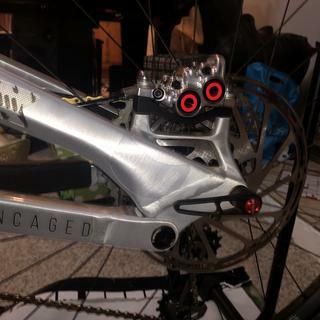 Magura brakes tend to be pretty easy to bleed and setup. Hit up our Gear Advisors if you need any further help getting your brakes dialed. This is a set of both the front and rear. Is it come with full box set by magura? 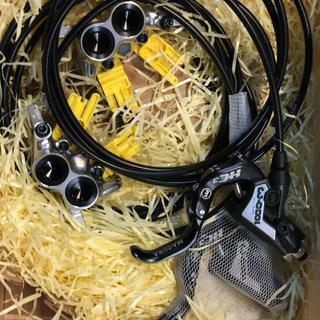 include wooden gift box, few colour piston caliper covers, etc....?